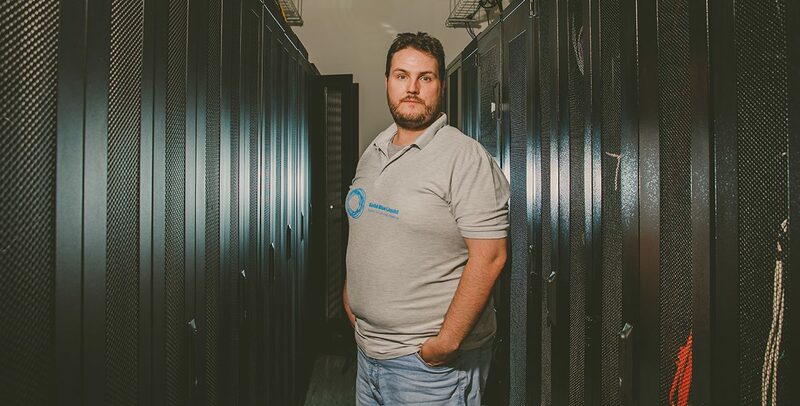 A North East-based hosting company, Solid Blue Liquid, has secured funding from Tees Valley Business Compass to assist with investment in its systems to improve services and accommodate current and future business growth. Established in 2016 and working with companies such as Resolution Publishing and Canteen & Cocktails Group, Solid Blue Liquid has invested almost £20,000 in new hardware and its configuration, using its TVBC funding to engage the services of a renowned North East network security solutions provider, KBR, to bolster its cyber security. Nathan Platt, founder of Solid Blue Liquid, said: “We were lucky enough to be in a position where we were growing to such an extent that our systems were at capacity. We needed to invest in new hardware but ensure that it could cope with future growth, and that’s exactly what we have done. Nathan first heard of the grant at the 2018 North East Expo and knew that this could be the opportunity that he had been looking for to be able to both make the initial investment, but also to capitalise on it. He continued: “The grant enabled me to work with KBR to reconfigure our hardware firewall and strengthen it, in addition to beginning marketing activity to promote our brand and offering. I felt more confident in making the investment with this support. Solid Blue Liquid’s new hardware includes Aruba switches, an HP Gen9 Server and an HP Enterprise MSA 2050.